For the busy metropolitan spreading through Southern California, smooth traffic-flow is crucial. Any bottlenecks in the movement of traffic, whether that be caused by vehicles, pedestrians, or any other travelers, can bring things to a grinding slowdown – if not an outright halt. The situation gets particularly dicey when work zones are involved. This new variable adds considerably more complexity to the picture. Which is why effective maintenance of traffic is crucial. 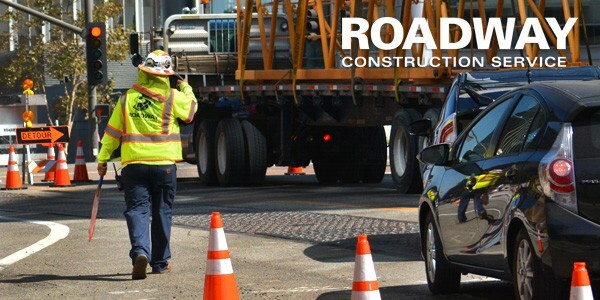 For this necessary service, look no further than Roadway Construction Service. As a long-time provider of temporary traffic control, we have the resources and experience to keep things running smoothly in and around work zones of every type. 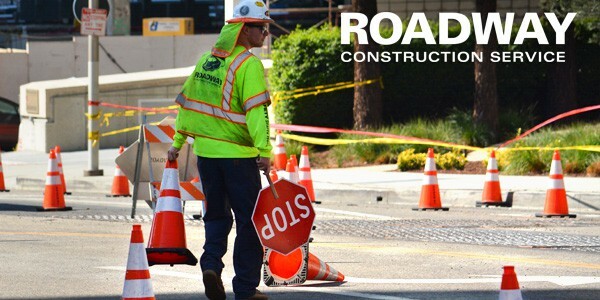 Roadway Construction Service provides work zone maintenance of traffic on many levels. This thorough, systematic approach is proven to prevent costly snarls and congestion. The value of this prevention cannot be overestimated. Even the slightest delay can wreak havoc with the efficiency of local businesses and government offices. Every second counts, and we make sure none of these precious commodities is wasted. For Roadway Construction Service, so many factors come into play that it’s impossible to prioritize. Every component is vital to success. On the human front, the key players in the field are traffic control flaggers. We’ve made certain that ours are at the top of their class. Before any prospective flagger takes the field, each must develop the instincts and acquire the knowledge necessary for the responsibility ahead. To achieve this level of competence, every prospective flagger receives a stellar education through a rigorous training program. When they emerge from the halls of education, they’re well-prepared to carry out their duties. As proof, all flaggers are fully qualified by the industry’s most prestigious certifications, including OSHA. Once in the work zone, our traffic flaggers demonstrate the impact of their rigorous education. Each performs a kind balancing act, communicating with fellow flaggers, as well as with travelers of every kind. While all this takes place, they also keep their eyes tightly focused on the surroundings. Multi-tasking at its finest. Not an easy endeavor. But a job for which they’ve been thoroughly trained and extensively prepared. Invariably, the welcome result is maximum safety and efficiency in the work zone. Equally important in the world of traffic maintenance is the correct deployment of equipment and devices. The list includes a wide range of traffic barriers, which vary in size from the large, the small, and everything in between. Taking up the most square-footage in our inventory of traffic barricades is k-rail rental, or as it is sometimes known, plastic jersey barriers. Massive and strong, k-rail primarily is utilized to keep unauthorized vehicles out of restricted areas. Not surprisingly, it’s extremely successful. Not all traffic control barriers, however, take up ‘miles’ of space. In fact, many in our inventory are conveniently compact. Traffic cones belong in this group. These, perhaps, are the most commonly-seem of all traffic barriers. And not only because they’re so often utilized. The cone also is highly visible, a quality provided by its bright, glowing orange coating. Despite their compact dimensions, cones are on par with all other components when maintenance of traffic is a priority.